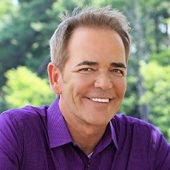 John Holland, author of the best-selling Born Knowing & The Spirit Whisperer, is one of the most renowned authentic psychic mediums on the world stage. He's dedicated to the integrity and validity of his work, with a unique style of communication with Spirit. These events offer comfort and closure with messages from Spirit. General Admission | Seating is Limited - only 50 spaces | All sales are final. For tickets for this event, please click on the purchase button. Please note that tickets are not issued for this event, instead your name will be at the registration desk upon your arrival. Doors open at 6:30pm and the event starts at 7:00pm. Please Note: Out of respect for others attending "The Gathering" ... THERE IS A 4 TICKET LIMIT in any one group - whether you're coming as a family or with a group of friends. This doesn't mean 4 tickets per person, allowing multiple individuals in the same family or with the same friends to purchase 4 tickets each. We want to limit everyone to having just 4 people they know or are related to in the audience at one time. PLEASE NOTE: Purchasing a ticket to this event does NOT guarantee you a reading. Please do not call the venue for information as this event is organized by John Holland's office. If you have any questions, then as always email John's office. John Holland will present his fascinating insight into the detailed mechanics of how he works as a psychic medium. John says: "Your loved ones on the Other-Side want to talk to you – as much as you want to talk to them!" Have you ever seen a psychic medium work live and connect with Spirit? Do you yearn to hear from a family member or close friend who has passed? Do you have what it takes to communicate with Spirit yourself? Do you ever wonder if they have the ability to influence our physical lives? Can you recognize the signs they're sending you? Join John for this enlightening and healing evening of messages from Spirit, as he creates the link with your loved ones, and explains the different signs and symbols they use to get his attention. 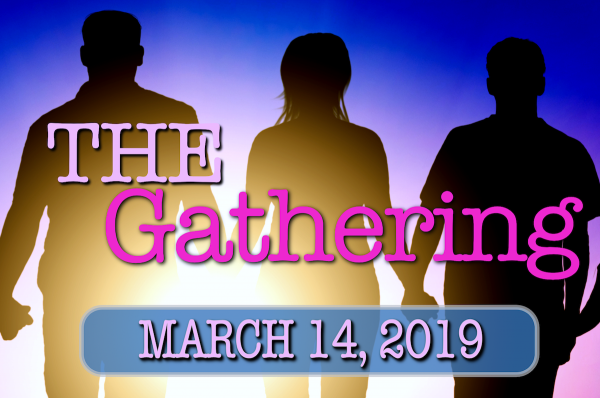 These Gatherings are a time to forge new friendships and gain comfort from the knowledge that there is a Spirit World, and that you too can learn to recognize the signs that Spirit sends you from time to time. Don't miss this opportunity to see one of the most sought after psychic mediums in the country! The Gathering will be limited to 50 people only. John will dedicate a large part of the evening to delivering messages from the Other-Side to as many people as time permits, but please remember that attendance does not guarantee a message. Not recommended for children under 16.